The I’LL SAY SHE IS Chorus at the dress rehearsal, May 27. Photo by Stefan Timphus. 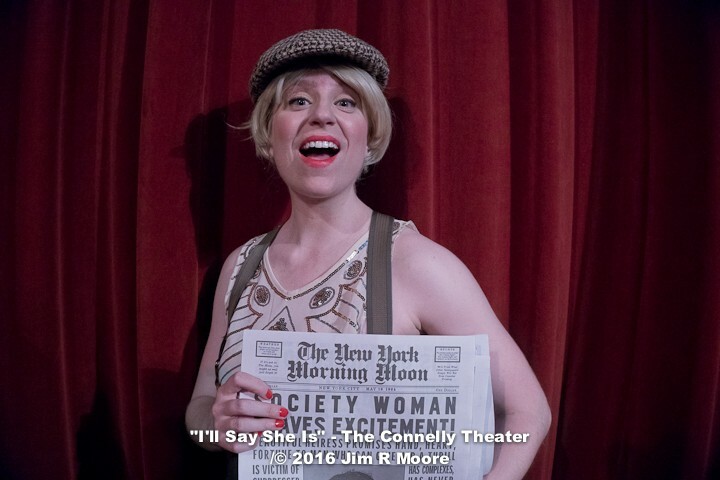 I’ll Say She Is (the Lost Marx Brothers Musical, now packing ‘em in and garnering raves Off Broadway at the Connelly Theater) is not exactly a feminist manifesto. Its ancient storyline concerns a young woman who craves excitement and turns to male strangers to provide it. Her name? She’s just called Beauty. 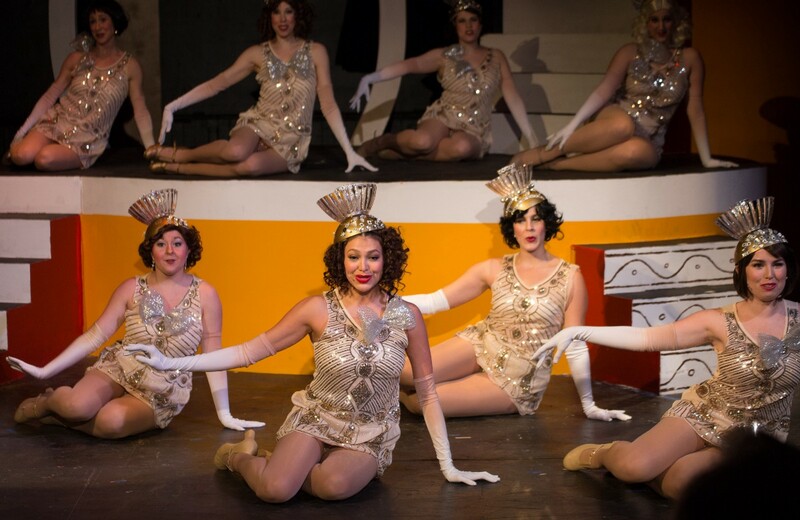 It’s a musical revue from almost a century ago, and it comes complete with objectified chorus girls and primitive sexual politics. Moreover, its principal appeal is the comic genius of four brothers, whose comedy is joyous and universally appealing, but also, inevitably, masculine. It could have added up to a bubbling cauldron of misogyny. We’ve avoided that liability (I hope) in two ways. First, just as I excised some crude mockery of Asians from the original opium den scene, I was careful in my adaptation to refine the show’s depiction of gender (without violating the reality of a 1924 revue). Second, every bit as much as the show is a celebration of the Marx Brothers, it’s a showcase for the profound talent and vision of an inspiring coalition of female artists. Let’s shift the spotlight from Groucho, Harpo, Chico, and Zeppo, and celebrate the women of I’ll Say She Is. Jessica Webb, Ashley Rubin, Amber Bloom, Avital Asuleen, Caitlin Brunell, Olivia Gjurich, Sarah Miller, Peyton Lustig, Beth Conley, and Robyn Michele Frank. Photo by Mark X. Hopkins. Jennifer Harder. Photo by Jim R. Moore. When the show begins, and these women take the stage, we know instantly that we are in good hands. It’s dazzling, and there are cheers and applause in the house before a single Marx Brother has appeared. I’ll Say She Is wasn’t the Ziegfeld Follies, and in recreating it, we were determined not to present a homogeneous, Ziegfeld chorus. The I’ll Say She Is chorus is made up of distinctive individual artists, each with singular talent and style — they just happen to work in synchronization expertly, because they’re so good at what they do, and so in tune with the intended effect. They’re eleven unique performers whose brilliance works in harmony. 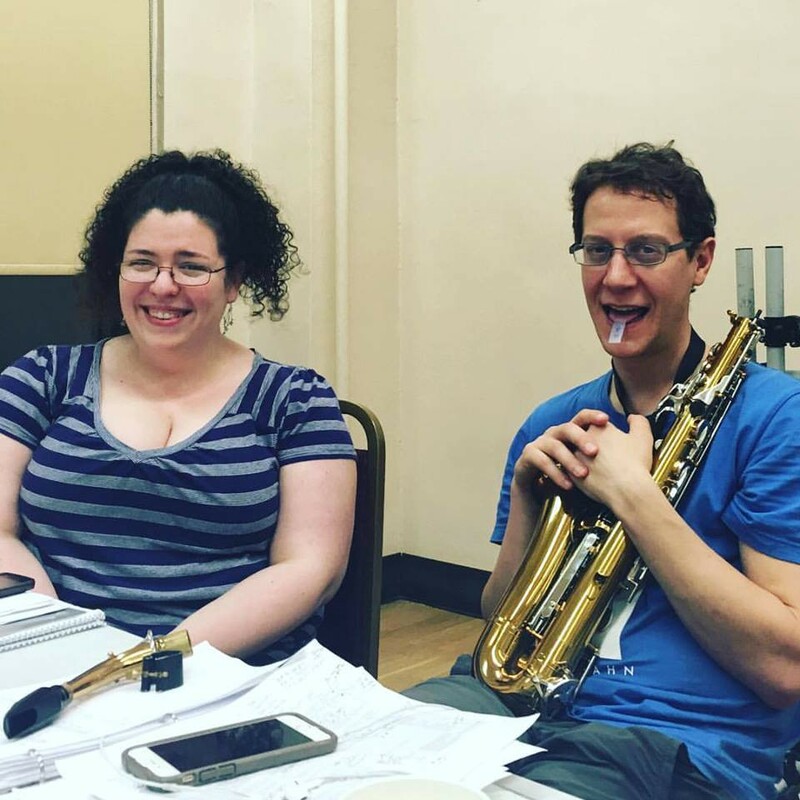 Sarah Lahue and Seth Shelden, in a typically serious rehearsal moment. Photo by Amanda Sisk. “Who are these ladies in black?” I used to ad lib, as Groucho, when our intrepid two-woman stage crew brought on the table for the poker scene. That moment has been excised, now that the card table we destroyed onstage during the first preview has been replaced. And there’s hardly a need anymore to acknowledge the presence of the stage crew, so fleetly do they act between the show’s scenes “in one” and past the curtain. During my quick-change after “Cinderella Backward,” while I’m hastily removing my tutu and leaping back into tails, I can often hear, just barely, Veronica and Joannie singing along with the number being performed on stage: “When shadows fall, and all the fun has faded / Please don’t be jaded / Keep the past in sight / We’re in love! 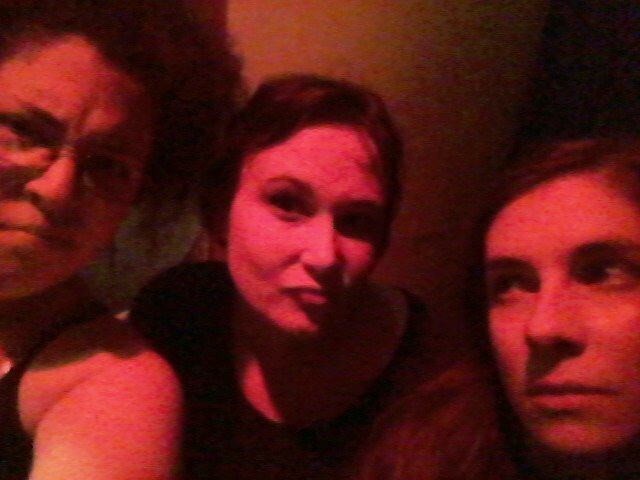 We’re in electric light! / Even Broadway’s just for us tonight.” I get goosebumps when I hear Veronica and Joannie joining the cast in the show’s reflection on the passage of time and the importance of enjoyment. I think the show means a lot to them. I know they mean a lot to it. I’ve always felt confident about certain aspects of I’ll Say She Is. I’ve always believed strongly in the ability of my collaborators (in both the Fringe and Off Broadway productions) to convey the essence of the Marx Brothers’ comedy. I’ve always felt confident in my work on the book and lyrics, and in the general entertainment value of the evening. But I have not felt confident in the staging of the musical numbers, because it’s an aspect of the show I don’t really understand. Despite my passion for the comedy and songwriting of the 1920s and 1930s, most of the musicals I admire (and all of the musicals I’ve written) are products of the “modern musical theatre,” the revolution started by Hammerstein and developed by Sondheim. 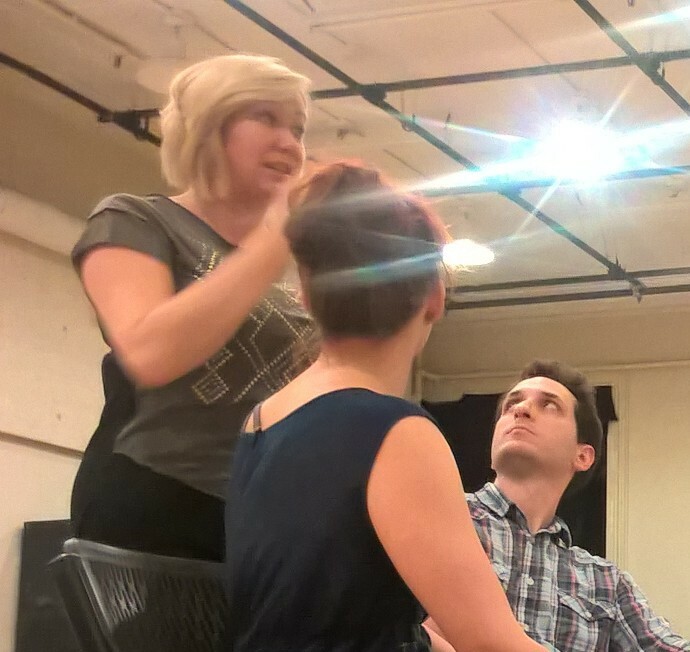 I’m most comfortable with musicals in which the songs function as scenes or monologues, and are staged accordingly. But I’ll Say She Is is not one of those musicals. I’ll Say She Is is a musical from an era before the art form grew up; its songs might advance the plot or express character in a nominal, incidental sort of way, but nothing much happens during them. They can’t be staged like scenes, because they aren’t scenes. They’re numbers, diversions, entertainment. They demand traditional, presentational choreography, which has to be impressive in its own right as a demonstration of skill. They demand a first-rate choreographer. 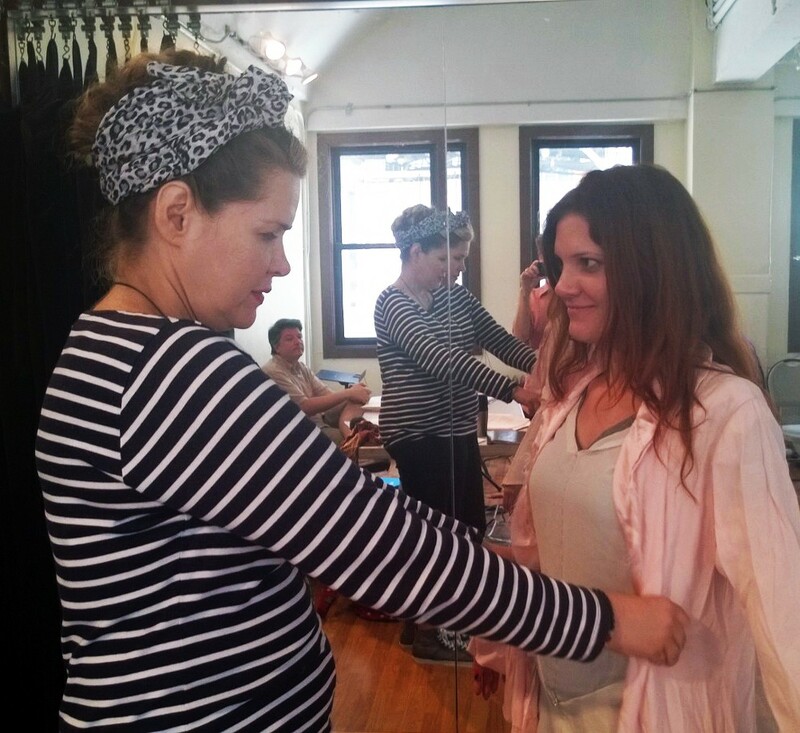 Julz Kroboth gets the measure of Melody Jane, during rehearsals for the 2014 FringeNYC production. I had never met Julz Kroboth when, in the early summer of 2014, Trav S.D. introduced me to her as his choice to design costumes and props for the New York Fringe Festival production of I’ll Say She Is. Since then, Julz has been one of this show’s greatest heroes. In the Fringe production, Julz’ costumes were the visual aspect of the show; because of her work, the reviews declared that this Fringe production, with no scenery and very little lighting design, was “lavish” and “opulent!” The current Off Broadway production at the Connelly does have other design elements, yet no less than before, it’s the costumes that make the whole thing work, visually. As the current production was coming together, I’d see the costumes one at a time, and they were always delightful and impressive. But it was only when I saw them together, in the specific combinations that would be seen on stage in each scene, that I realized how much care and artistry went into their conception. On the heels of this revelation, I started raving to Julz about how much I admired her choices, how convincingly they added up to a concept, and how many details I’d noticed which were not apparent before. When I think about the possibility of I’ll Say She Is having a life beyond the current production, one of the most exciting aspects of that possibility is to see what Julz can do with a little more time and money. She’s an artist and a magician, and one of the people most responsible for the overall impact of the I’ll Say She Is revival. Thought goes into it. Sabrina Chap on the keys. Photo by Jim R. Moore. I’ve said it before, and I’ll probably say it many more times: The Lost Marx Brothers Musical has as much music as Marx Brothers. In addition to the fourteen songs which make up the score, there are two major dance pieces (set, as in the original show, to Mendelssohn and Offenbach), an overture, an entr’acte, two major instrumental specialties and several minor ones, numerous incidental bursts of music and song, and more . Like the Marxes themselves, I’ll Say She Is is a relentless musical machine. Sabrina Chap is responsible, in one way or another, for every note. Everyone is suitably impressed by the fact that one artist is responsible for the vocal and instrumental arrangements, musical direction, and piano accompaniment for the show. If they knew that that was just the tip of the iceberg, they’d be even more surprised — unless, of course, they know Sabrina Chap. Then their response would be, “Of course she can do all of that.” And even that is just a fraction of her gift. 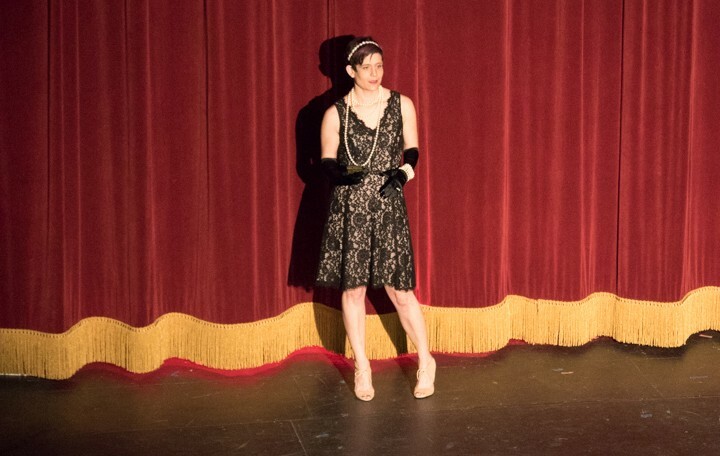 Meg Farrell with some character in the lobby of the Connelly Theater, June 2016. 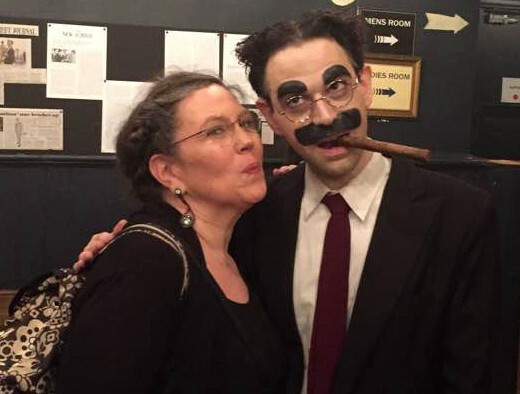 In my book Gimme a Thrill, I write about how lucky I was (and how lucky the show is) to have met Meg Farrell, and moreover, how lucky the show and I are that Meg Farrell is Meg Farrell. Yes, Meg is the great-granddaughter of original I’ll Say She Is librettist (and crucial Marx Brothers collaborator) Will B. Johnstone, and from her I’ve learned things about W.B.J. and the original production which nobody else could have taught me. But Meg is also a musical theatre expert in her own right. (Her Studies in Musical Theatre article about the origins of I’ll Say She Is is an important source for information not to be found elsewhere.) She teaches a college course in musical theatre history, which I was honored to attend as a guest lecturer earlier this year, and she is especially conversant with the evolutionary moments when this art form was born, more or less by accident. Meg is a link to the past, present, and future of I’ll Say She Is — a scholar, a confidante, and a friend. Melody Jane in I’LL SAY SHE IS. Photo by Stefan Timphus. In the history of show business, there are these occasional perfect intersections of performer and role. This project was just lucky, back in early 2014, when Melody Jane walked into the room to audition for those first staged readings. She continues to enrich I’ll Say She Is with a singular performance — as uncanny as Seth Shelden’s reborn Harpo and Matt Roper’s spot-on Chico. 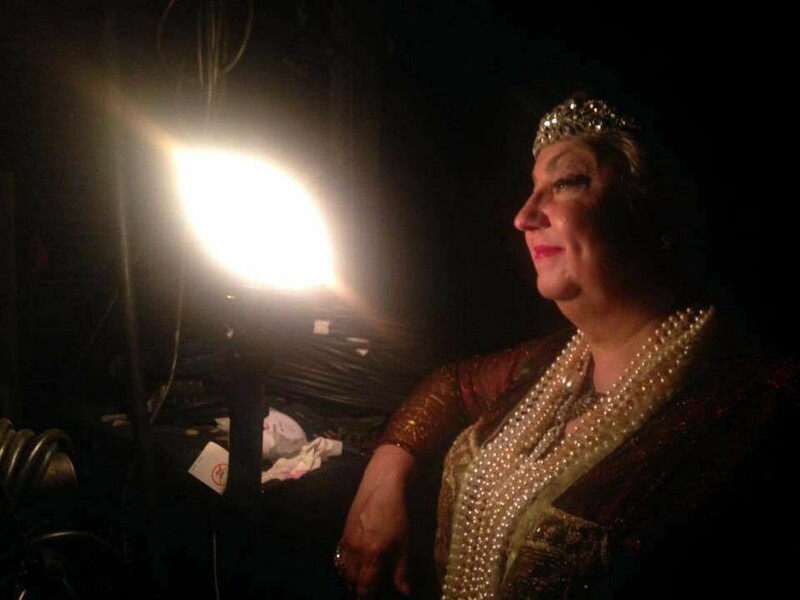 Kathy Biehl as Ruby Mintworth, contemplating the ghost light. Photo by Matt Roper. Margaret Dumont was not in I’ll Say She Is. The character of Ruby was, but in the original show Ruby was Beauty’s social secretary. Her function in the story was the same — confidante to, and keeper of, the heroine — but she was Beauty’s contemporary, and she vanished after the first reception room scene. Knowing that the character would need some expansion, and that the dignified dowager had been a fixture of early Marx Brothers material long before Dumont joined them in The Cocoanuts, I decided to fuse that archetype with what little of Ruby existed in Will B. Johnstone’s typescript. Ruby became Mrs. Ruby Mintworth, of the Park Avenue Mintworths, Beauty’s aunt and guardian (after Mikael Uhlin convinced me Ruby shouldn’t be her mother). Besides the reception room scene, Ruby would be the ideal character to deliver the thrill memorably known as “The Inception of Drapery” (incongruously handled by Zeppo in the original show). And the character’s presence in the show also meant that romantic interludes with Groucho were inevitable. But whether this would work — whether it would compromise the audience’s ability to accept I’ll Say She Is as authentic — depended largely on the performer cast in the role. It’s another absurdly tall order. 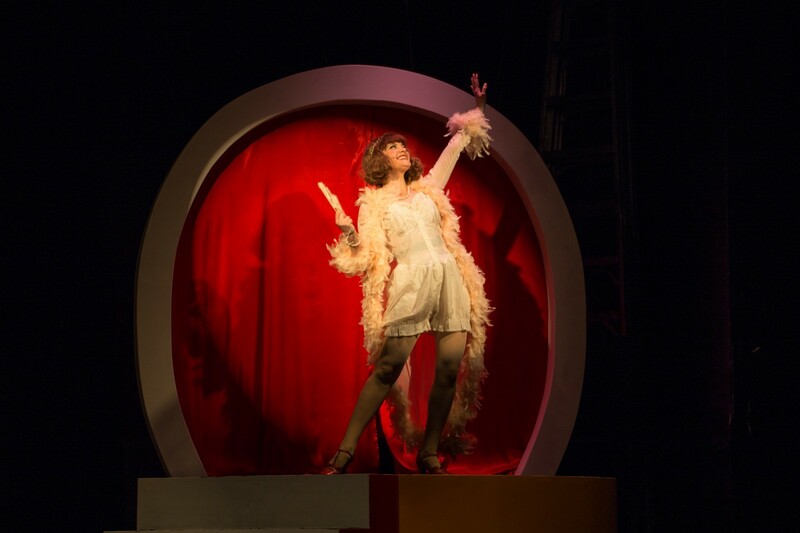 She has to embody the operetta world of the show’s “straight” story, while also functioning in its comedy scenes; and she has to evoke the work of an immortal personality without being so literal as to create the misconception that Dumont herself was part of the picture. Seth and the Matts and I can always refer to specific mannerisms of the four Marxes, but Kathy doesn’t have this option. The freedom that seems to accompany this condition, as well as Kathy’s limitless talent and irresistible stage presence, has led to a great deepening of the character. There are things you can say about Kathy’s performance as Ruby that just weren’t true of Dumont’s performances in the Brothers’ films, great as they were. It’s beautiful, lovely, and touching, and your heart goes out to her, and hers to you. Amanda Sisk delivers the curtain speech on opening night. Photo by Mark X. Hopkins. What I really don’t want to do is direct. Actually, it’s not even a matter of not wanting to. I can’t direct. Anyone who doubts whether directing for the theatre is a creative discipline unto itself should see what happens when I try to do it. It’s always been clear to me that even if I were not playing Groucho, I could never direct I’ll Say She Is, despite my intimate knowledge and comprehensive vision of the show. I don’t have the skill. I can make a show move around the page, but making it move around the stage is beyond me. It is not beyond Amanda, who has a masterful eye for the kinetic flow of theatre, whether it’s intimate naturalism among a few raw characters, or a big musical comedy bursting with business. A play, on paper, is a big box of problems, and I’ll Say She Is is an especially packed and daunting box of problems. Seeing Amanda carefully remove, study, poke, prod, and solve each problem has been one of the great privileges of this collaboration. The I’ll Say She Is revival might exist as a concept because of me, but it exists as a show because of her. And nobody wants to sit there for two hours and watch a concept. I’m more than happy to accept praise, when it’s offered, for the work I’ve done restoring and adapting I’ll Say She Is, and for my performance as Groucho. But everyone who loves this show should know how thoroughly it’s Amanda’s work that makes it work. Everything that’s good about it is good because Amanda Sisk’s hands are on the wheel. I’m an overindulgent writer and a limited performer. I’m a box of problems. I had a good idea; she had a thousand good ideas. 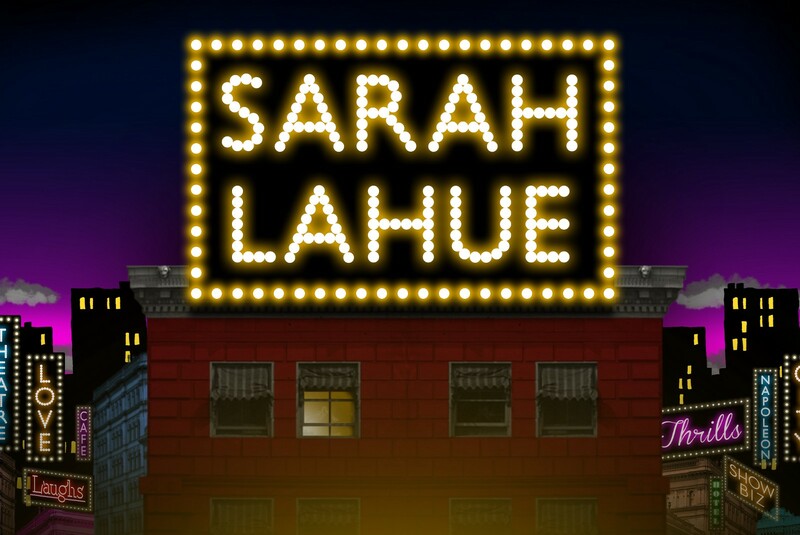 I’ll Say She Is runs at the Connelly Theater, 220 East 4th Street, through July 3. The remainder of the run is sold out. 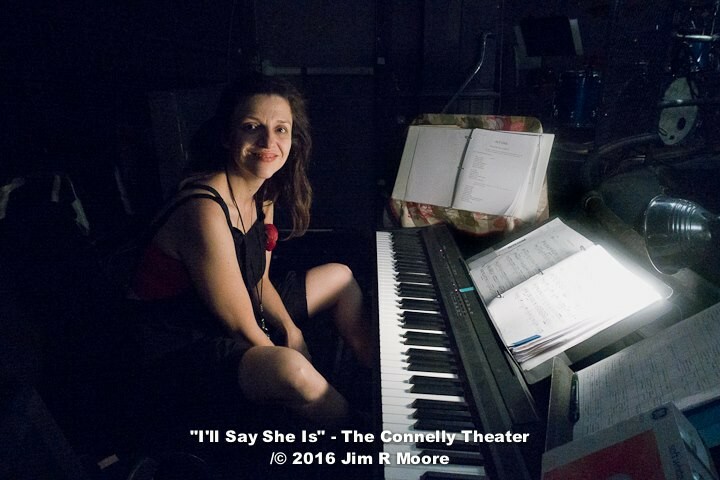 For updates about the future of I’ll Say She Is, please join the mailing list at illsaysheis.com, and follow the show on Facebook and Twitter.